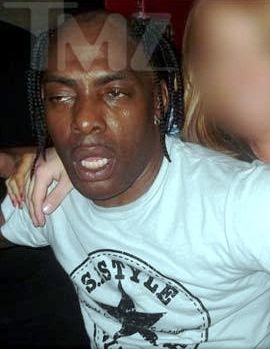 *Coolio, 47, was so bent at his own concert last week in Minneapolis that he could barely get through his three-song set. TMZ obtained photos of the train wreck, which took place at The Lounge’s “Hip Hop Thursday” event. Bruh I met dude. He short. Im over 6ft bro. Dayummmm! Musta drank on an empty stomach. What is going on with his hair?? And he’s damn near 50! EWWW!